Is there a specific moment in time when you decided to take money seriously and achieve financial independence? My financial epiphany took place in November 2017 as I was researching how to move with no money. I realized I didn’t have the answer to the question. While it was a painful wake-up call for me, that moment marked a turning point for me: I created a budget and started learning everything I could about personal finance. For Grant Sabatier, owner of Millennial Money and the author of Financial Freedom, one of his financial turning points was in August 2010. After getting laid off twice and moving back in with his parents, Grant found himself with $2.26 in his checking account and just $0.01 in his “DO NOT TOUCH” savings. Today’s post is inspired by the first chapter of Financial Freedom, “Money is Freedom: How I Went from $2.26 to $1 Million in Five Years,” that outlines a simple formula for how he transformed his finances. Grant was generous enough to share a free advance copy wiith me, and I’m happy to share some of the insights from the book! While your financial journey will be your own unique story, you don’t have to do it alone. 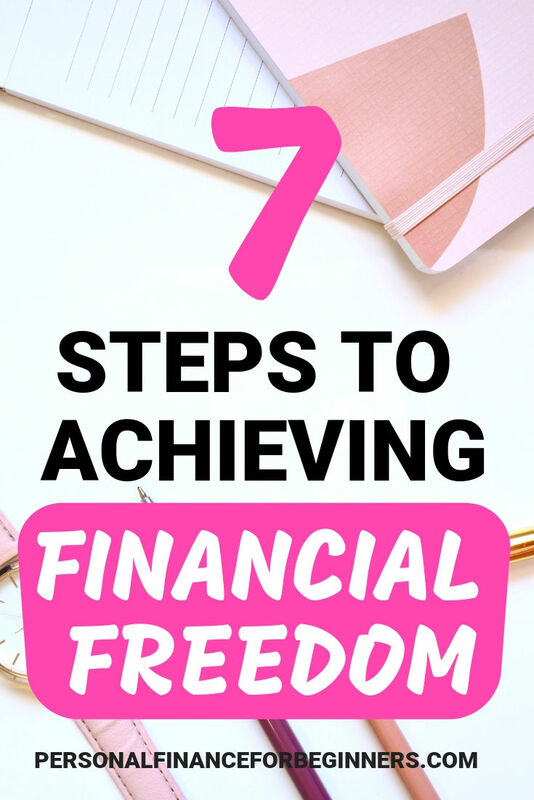 In this post, you’ll learn what financial freedom means, how it can change your life, and how you can achieve financial independence through a seven-step financial freedom plan from Grant’s book. Before you can achieve financial independence, you’ll have to define what financial freedom means to you. It’s not about having the highest credit score possible. It’s not about earning a six-figure salary. It’s not about owning a large house or a fancy car. So what is the definition of financial independence? Financial independence is having enough money for the rest of your life. You don’t need to have millions of dollars in your savings account. Instead, being financially independent is about reaching a point where you can live off your investments and income streams indefinitely without needing to work. That’s a problem we’d all like to have, right? Actually, achieving financial independence can take on many different forms. Maybe you want to live in a tiny home off the grid. Maybe you want to travel the world. But maybe you want to live a life that looks awfully close to the one you already have now! Here are a few of the responses. See if you can spot a theme! While a specific financial freedom plan might look a little different for everyone, most people want one big thing: the ability to reclaim their time for activities that are truly meaningful to them. In Financial Freedom, Grant lays out seven financial independence steps that will help you get started on your path toward the abundant and prosperous lifestyle of your dreams. Each of these steps could justify a blog post of their own. While reading an advance copy of this book, I was impressed by all of the actionable steps in each chapter. If you decide to buy the book (it’s well worth $10-20 if this 7-step framework speaks to you), you’ll want to take lots of notes. Even though achieving financial independence is a long journey, Grant shares lots of insights and tactics that can be used immediately! If you’re seeking the holy grail of financial freedom, “your number” is the amount of money you need to quit your job and never work another day in your life. The general rule-of-thumb is that your number is 25 times your annual expenses. This amount allows you to safely withdraw as much as 4% of your nest egg’s value indefinitely (while also adjusting for inflation). But your number might also be less if your financial freedom goal, for now, is getting out of debt or your retirement plan involves moving to a much lower cost-of-living city or country. You’ve identified your end goal – likely a number between $1-2 million. Now what? Now it’s time to take a financial snapshot of where you are starting from today. In personal finance, this snapshot is known as your net worth. You can calculate your net worth by adding up the value of your assets (bank accounts, investments, etc.) and subtracting your outstanding debts (student loans, car payments, mortgage). If you’re a young professional, there’s likely a big difference between your current net worth and your number that represents achieving financial freedom. In fact, if you took out student loans or have credit card debt, your net worth might be negative! Don’t despair. You may not be able to transform your net worth overnight, but by learning how to manage your money, you have the knowledge and skills needed to make big improvements over time. For many Millennials, retiring at 65 is going to be the best-case scenario. If you’d like to become financially independent and have the freedom to live the lifestyle you want sooner rather than later, you’ll need to shift your mindset about money while questioning beliefs and values that may be holding you back. You don’t have to commit to a strict standard of frugal living, but if “I want it, I buy it” is your default purchase behavior, you’ll find that it’s almost impossible to your net worth any closer to your financial independence number. How many hours of my life am I trading to afford this? Can I get it for less or trade for it? What is the per-use cost of this item? Some of these questions (and the others included in the book) are simpler to answer than others, but you’ll find that your financial decision-making gets easier over time. These expenses typically make up 50-60% of a monthly budget. Rather than saving a few dollars here on there, focus on “big wins” by making smart decisions with each of those three categories. The simplest approach is to cut down on these expenses is to simply live within your means. Avoid lifestyle inflation and don’t pay for more apartment/house, nicer transportation, or prepared meals than you need. If you’d like to maximize the amount of money you have to save, you can trim your budget substantially by house-hacking, walking and biking everywhere, and cooking every meal at home. You may love your full-time job. You may not. Either way, your career will play an important role in helping you reach your financial independence goal – whether it takes you 10 years or 40 years to get there. Rather than using your job to inflate your lifestyle, why not use it to fast-track toward financial freedom instead? Last time I got a raise, I was able to resist the temptation to move into a larger apartment or buy a nicer car. Instead, I gave myself a modest “reward” and then bumped up my monthly savings goal. Learn how to maximize your salary by developing the right skills and asking for a raise at the right time. Understand how to make the most of the benefits your employer offers you. If you’ve been skipping company meetings because you find HSA’s, 401k’s, and insurance to be intimidating… It might be time to schedule a meeting with HR so you can review what opportunities are available to you. Of course, it can be difficult to find the right side hustle. Most independent distributors for multi-level marketing companies end up spending more money than they earn. Achieving financial independence is all about creating the freedom to spend your time and energy how you please. If you’re going to invest your time (and often money) into a side hustle, you’ll want to make sure it’s worth your trouble. Some of Grant’s recommendations on side hustling include analyzing your passions and skills, evaluating the moneymaking potential of your ideas, and focusing on building a lifestyle business (scaling to the right size for your goals). Sure, it would be much more fun to daydream about what to do if you win the lottery, but learning how to invest your money is an important step in your financial independence journey. Investing is a tool that allows you to make your money work for you. It pays to invest early and invest often. Historically, the stock market grows by an average of 7-8% every year. What does this mean for your financial freedom plan? Every dollar you invest now could be worth roughly $2 in 10 years, $4 in 20 years, or $8 in 30 years. The more you can invest now, the earlier you’ll hit your financial independence number and the less of your own money (principal) you’ll need to invest later. Don’t bother with short-term investing or trying to “pick winners.” Instead, focus on minimizing risk and fees while making consistent contributions. Figuring out your “financial independence number” and calculating your net worth can be done in an afternoon, but some of the other steps will take years, even decades, to complete. If you’re motivated to continue taking additional steps toward achieving financial independence, why not create your own financial freedom plan? Try breaking down the other steps from Grant’s seven-step framework (reducing your living expenses, hacking your career, starting a side hustle, and investing often) into smaller actions. This Financial Freedom book review goes into greater depth on each chapter. With a little creativity and effort, there are plenty of ways to continue working toward financial independence. Don’t underestimate the impact of these small actions over time! 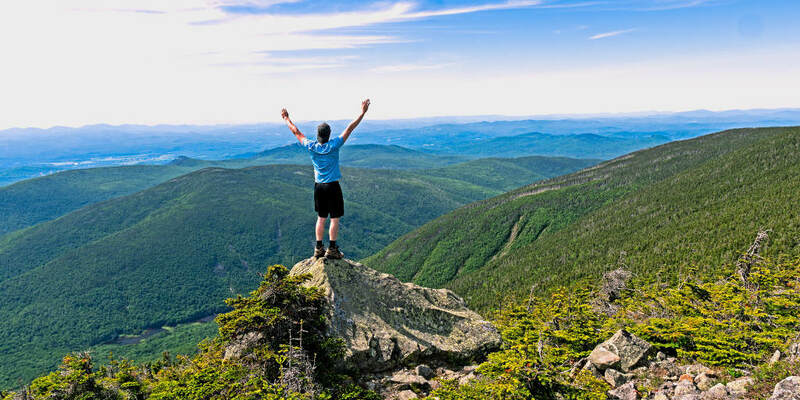 Do you want to achieve financial independence but aren’t sure where to start? Financial Freedom is a great resource if you’re looking for a financial freedom plan with everything you need to reach your long-term goals. If you’re ready to think outside the box and do things differently from your peers when it comes to personal finance, the book will change the ways you think about money! It’s also a great gift if you’re looking to inspire and educate a family member or friend to start their own financial independence journey. Even if you aren’t ready to buy the book (which again, I think is worth the money), be sure to take advantage of the free financial freedom calculators that Grant has created to help explore the concepts in the book. What’s your reason for pursuing financial freedom? That was a great summary of chapter 1! I agree that Financial Freedom is good book and is worth the money. I especially liked the chapters about investing in stocks and real estate.